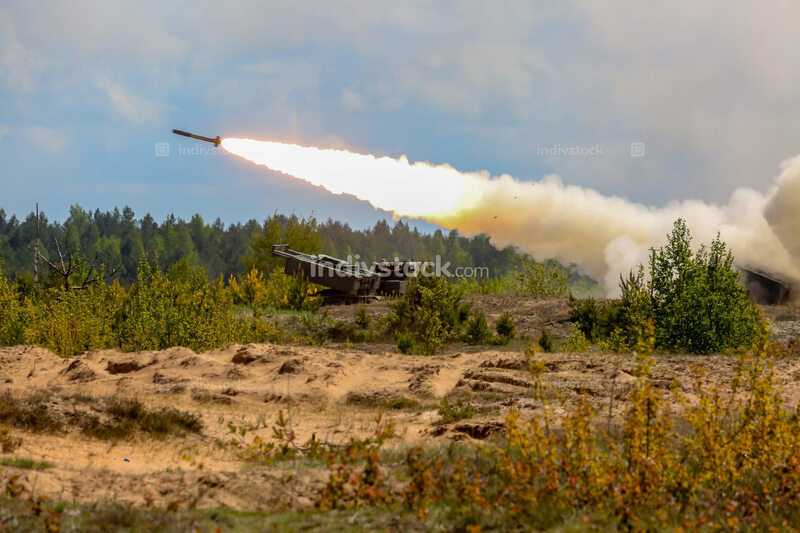 Launching rocket in military training Saber Strike in Latvia. Rocket launcher with Himars. NATO soldiers and military equipment in Latvia. International Military Training "Saber Strike 2017", Adazi, Latvia, from 3 to 15 June 2017. US Army Europe-led annual International military exercise Saber Strike Field Training Exercise in Latvia.